This is it! Upon entry, you will immediately be greeted by the great design of this completely remodeled 4 bedroom 2.5 bath home. It boasts all new cabinets, stainless appliances and ceramic floors in the kitchen. Upstairs you will find an open concept flow from the living room to the kitchen. Downstairs is a large den great for entertaining or relate living. You will also see there is plenty of closet space here including 2 XL walk in closets. You'll have plenty of light to shine through the double hung vinyl windows. 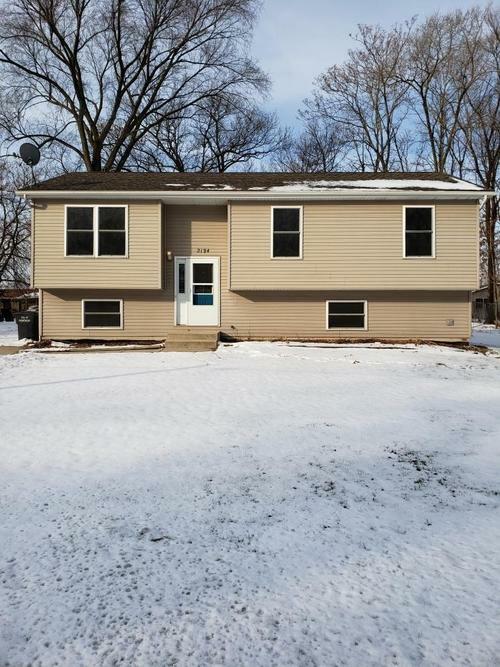 This home offers all new floors, appliances, cabinets, counter-tops, bath vanities, sump pump, & more. Don't wait to book your tour. When you arrive here, your search is over! Taxes are estimated to be cut in half upon filing exemptions.